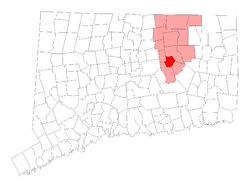 Andover, Connecticut is a rural town nestled in the hills of Tolland County located less than 20 minutes west of North Windham, where one of our CT pediatric dentistry offices is located on Airport Road. This means that we are available for you in the event of pediatric dental emergencies such as a knocked out tooth or an acute toothache. One of our doctors always remains on call after-hours, and is able to meet you at the North Windham office in the event of an appropriate dental emergency. To contact the on-call doctor after-hours just dial 860-523-4213. For regular appointments during regular business hours, contact our North Windham office by calling 860-456-0506 to speak with a helpful member of our friendly staff. 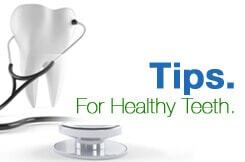 We at CT Pediatric Dentistry believe in educating young people about proper oral hygiene and good dental health habits early in order to form a foundation for life-long practice of those good habits. Preventive care is the best kind of dental care, so we encourage you to bring your child to the dentist starting as soon as their first tooth begins to show. We encourage children to limit sugary foods and drinks to a minimum, as these are generally the culprits in cavity creation. Sugar feeds bacteria that produce acid which rots away the enamel of teeth, which is the cause of cavities. We want children to understand correct brushing and flossing procedures to help reduce the number of cavities we see in our offices. Our mission at all 3 branches of CT Pediatric Dentistry is to employ kid-friendly methods to show children that there's nothing to be afraid of when visiting the dentist. Whether it is for a routine check-up and cleaning, or a dental surgery like filling a cavity or installing a crown, our dentists put kids at ease with their friendly demeanor and ability to reach children. We invite residents of Andover, CT to give us the opportunity to become your family's pediatric dentist, because at CT Pediatric Dentistry, dental care for children is our passion.